The Warriors, who enter Sunday night's game with a season-high four straight wins, have defeated the Cavs in five straight. Kyrie Irving says of his Cavaliers: "It’s a terrible situation internally with our team." Irving adds: "It’s something we have to get over." 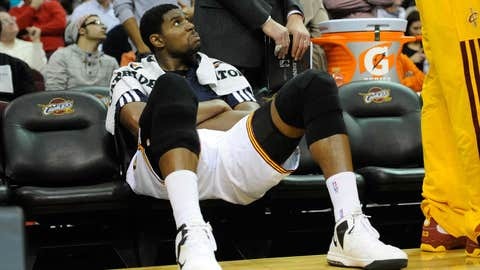 Irving was mostly referring to Andrew Bynum’s suspension, which is the start of the end of the Bynum era in Cleveland. On the other hand are the Warriors. From top to bottom, their roster is actually younger than that belonging to the home team. Yet the Warriors seem to have things figured out behind the likes of Stephen Curry and Klay Thompson. Basically, the Warriors are where the Cavs hoped to be — young, exciting, going places. The Cavs can still get there, but they need to start soon. No one wants to be in a "terrible situation." – You could make a strong case that the Warriors are better than the Cavs at every starting position. You could also make a strong case that the Cavs need to beat the Warriors, anyway. – The Warriors have defeated the Cavs in five straight. That’s Golden State’s longest streak vs. Cleveland since 1973-74. 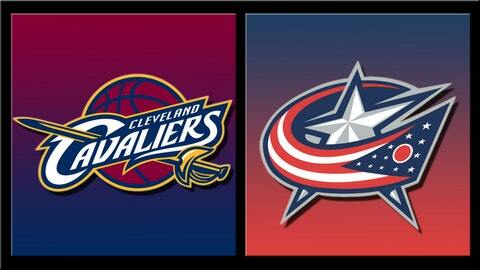 – This is Cavs G Jarrett Jack’s first game of the season against his former team. Jack averaged 17.2 points on 50.6 percent shooting in the playoffs last year. He’s been nowhere near that player this year. 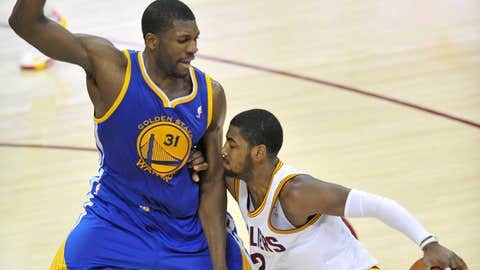 – The Warriors have matched their season high with four straight wins. They have played a Western Conference-low four games vs. the East. – While the Warriors are known for their offense, they have held opponents below 40-percent shooting 14 times this season. – The Cavs are 3-1 vs. the West at The Q. Their lone loss came in overtime vs. the Blazers. The Cavs, by the way, are also 3-1 in overtime games. – Cavs G Dion Waiters is averaging 19.8 ppg on 50 percent shooting in his previous five games.